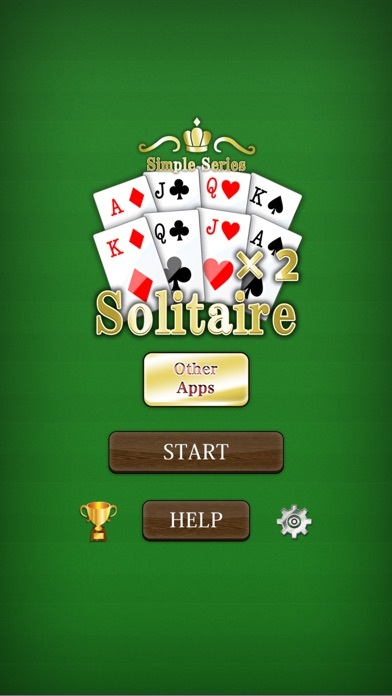 Now you can play the card game everyone loves to play in their free time on your iPhone! 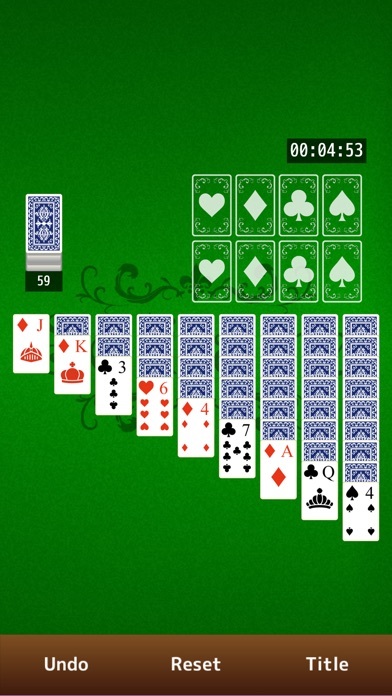 Play the popular game of patience included in Microsoft's Windows, Solitaire wherever you are! But there's one difference! Play with TWO packs of cards! Are you up to the challenge? No over-the-top features allow you to play at your leisure. Even for first-time players, there is help included and the rules are simple so anyone can play! Move the cards by either touching and tapping, or dragging! Compatible with all iDevices: iPhone, iPod Touch, and, of course, iPad! Compare your clear time with people around the world using Gamecenter's score system! Great for those who: ・ love games of patience such as Solitaire, Klondike, FreeCell, Spider Solitaire ・ are looking to kill some time between bus and train rides on the way to and from work or school ・ enjoy a good puzzle ・ are interested in other card games, such as Poker, Blackjack, and the Japanese Daifugo ・ enjoy other board games such as Reversi, Othello, Crosswords, Chess, and the Japanese Shogi and Go No need to register your email address! This app is a free download.